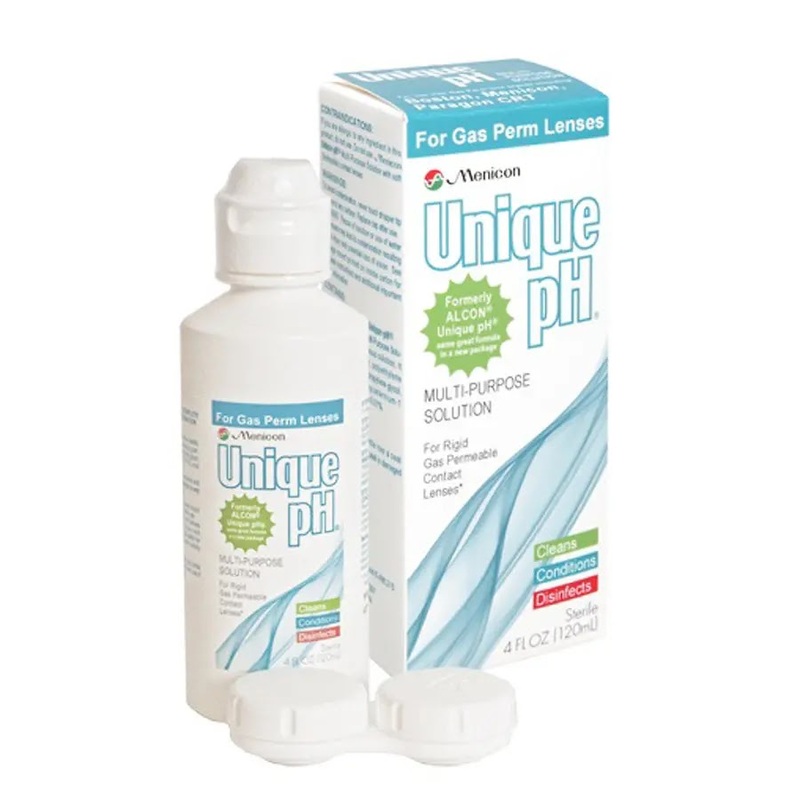 For the roughly 11% of all contact lens wearers that wear hard or rigid gas permeable (RGP) contact lenses, finding the right cleaning and storage solution is a lot more complicated than just grabbing something off the shelf at the drug store. Most readily available contact lens cleaning solutions are meant to clean soft, disposable contact lenses and won't clean and disinfect RGP lenses thoroughly enough to be safe. Because RGP and scleral contact lenses are replaced much less frequently than soft lenses (yearly to every few years, depending on the patient), keeping the contact lens surface clean of debris and protected against infections, chips and scratches is essential to both comfort and clear vision! 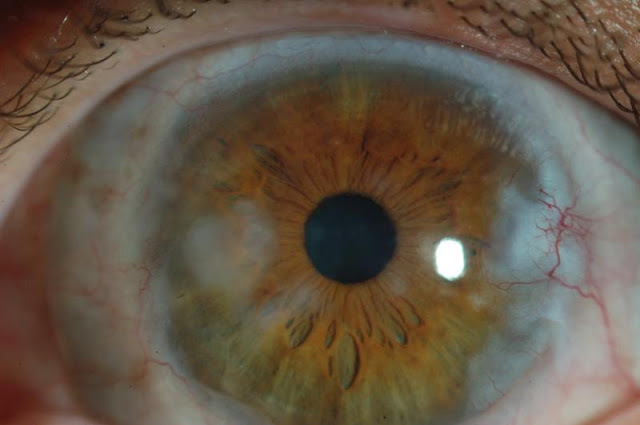 The biggest risk with contact lens wear, whether you wear soft or RGP lenses, is corneal infection. Unfortunately it's possible to be blinded by contact lens wear, so proper hygiene and care is essential. 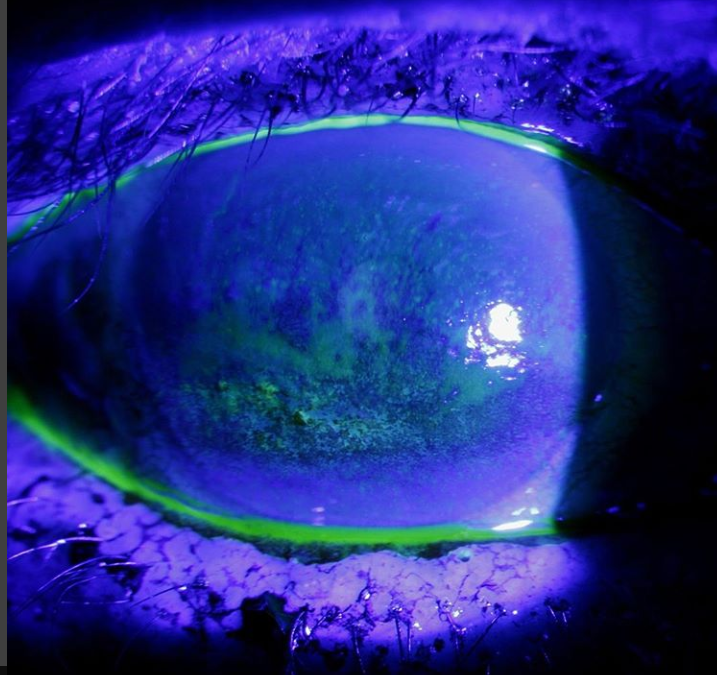 For patients wearing RGP or scleral lenses, the risk of infection is extremely low with only 2 cases per 10,000 patients reported. 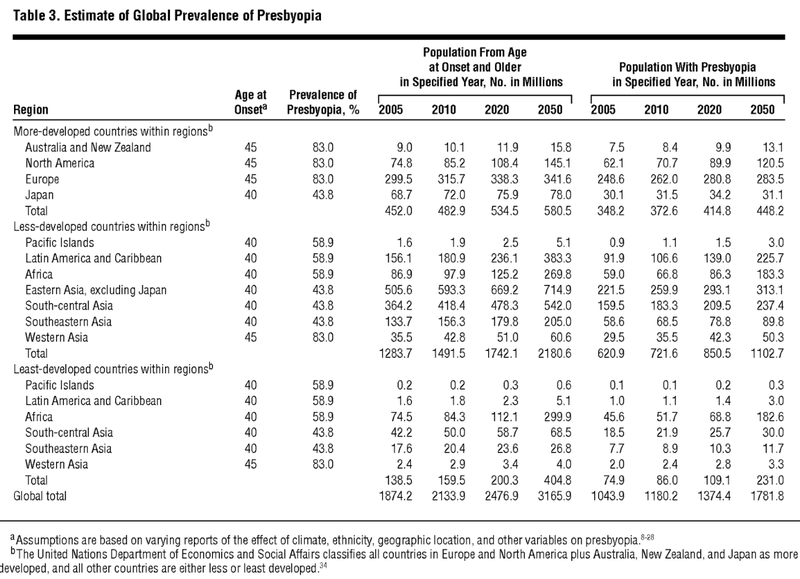 Compare that to soft contact lens wearers who have an incidence of 25.4 cases per 10,000 patients for those who wear monthly disposable overnight wear soft contact lenses! Even though the risks of infection are much lower when you wear daytime wear RGP lenses than overnight wear soft contact lenses, because patients wear these lenses for much longer, up to a few years at a time, the repeat exposure to bacteria can cause significant risk. 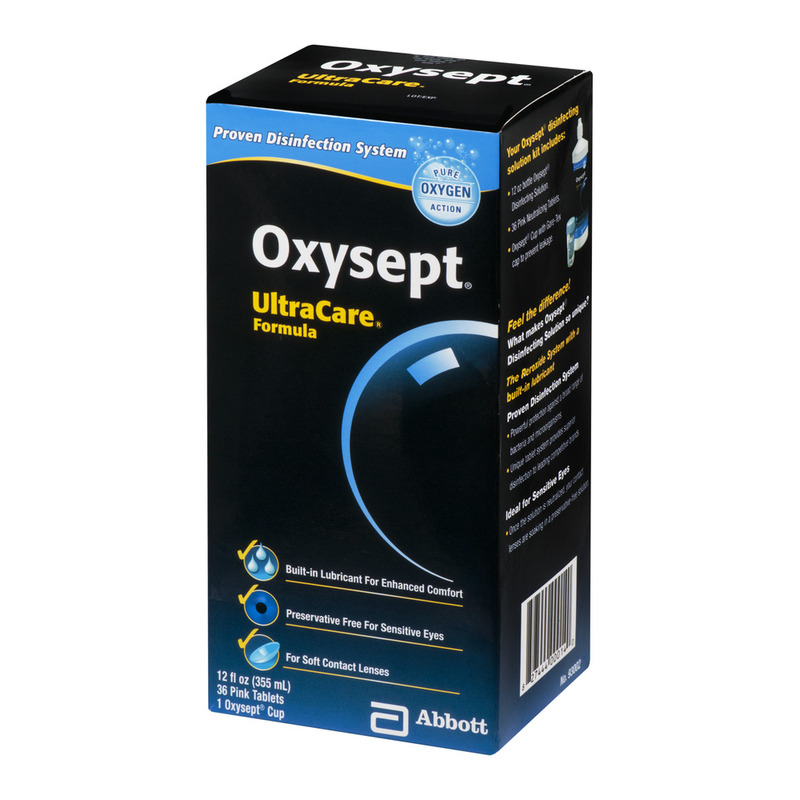 Multipurpose Systems: All-in-one solution systems (sometimes abbreviated MPS solutions) are super convenient because in just one bottle you can clean, disinfect, store, and condition your contact lens overnight. Many RGP contact lens solutions will mention "conditioning" -- that means improving the wettability of the contact lens so that it stays better hydrated on your eye to maintain great comfort and clear vision. 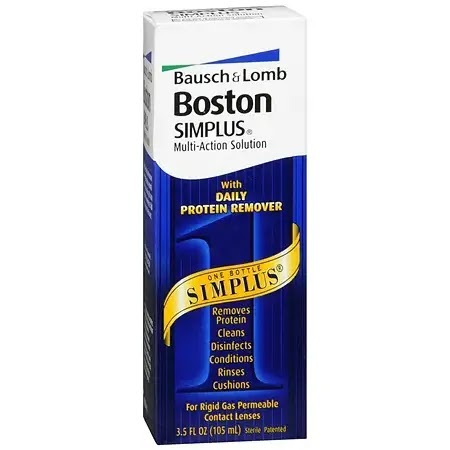 Boston Simplus: This cleaner and storage solution has protein deposit removal that is comparable to more abrasive cleaners on the market with the pro of being an all-in-one solution. 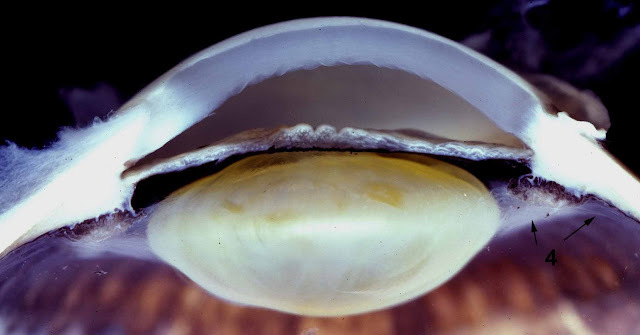 For best results, the manufacturer recommends storing the contact lens in the solution overnight, then rubbing and rinsing the lens in the morning before putting on the eye. No night time rub required. 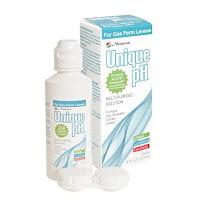 Unique pH: This solution is an all-in-one cleaner and storage solution that works to hydrate or condition the contact lens by adjusting to the natural pH of the tears on the surface of your eye. 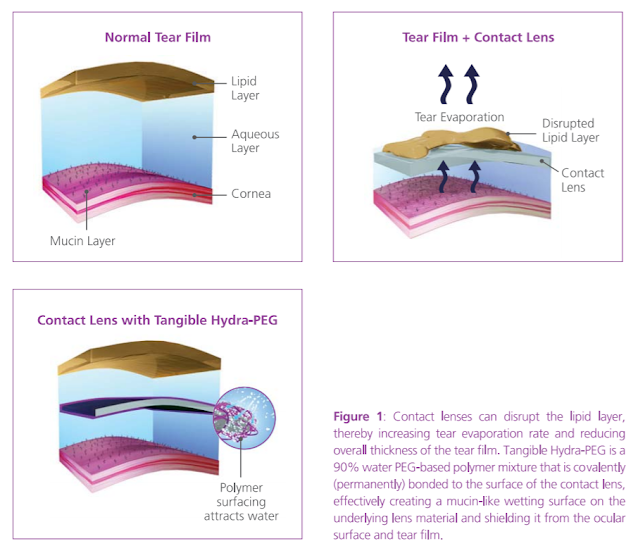 As your tear film pH decreases (becomes more acidic), the solution becomes thinner to help maintain comfort and visual performance. 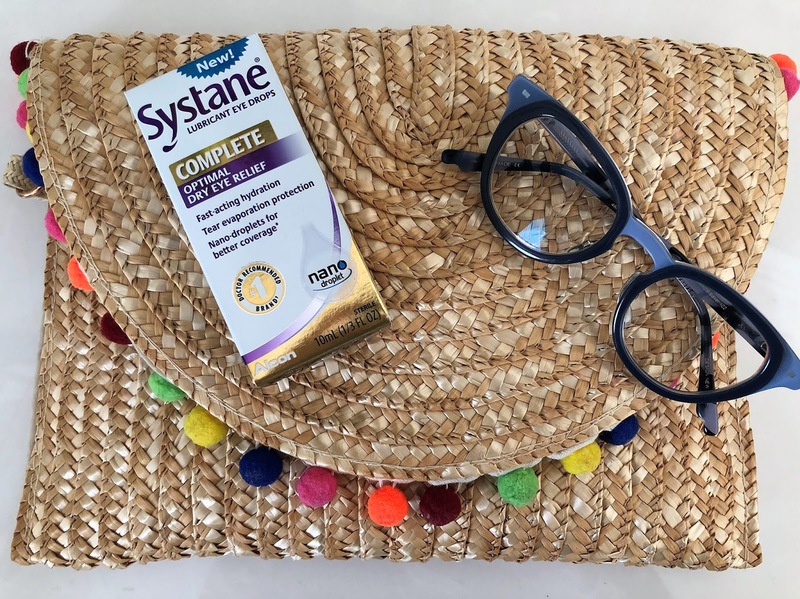 The Cons: These solutions are extremely popular due to convenience, but if you get a lot of deposits or build up on your contact lenses, these are typically not the best option. The cleaners in these contact lens solutions are necessarily very mild since they must be gently enough to come in contact directly with the eye. If you have significant protein build-up, adding a daily cleaner (below) is likely necessary. These solutions use hydrogen peroxide as one or two-step cleansing options to both disinfect lenses, clean the surface of debris and build-up, and store overnight. 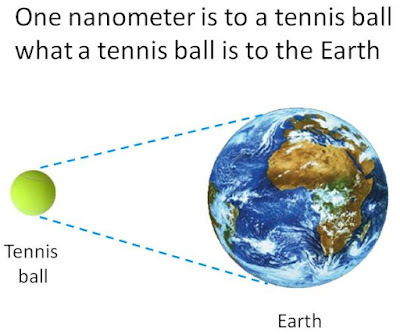 They both require 6 hours of cleaning time to fully disinfect the lenses. ClearCare: This peroxide based cleaner is an all-in one option that cleans lenses overnight (6 hours). The hydrogen peroxide solution is converted to saline via an enzymatic reaction in the special case design. This solution can be used for both RGP and soft contact lenses. To properly disinfect RGP lenses, the manufacturer recommends putting 2-4 drops of ClearCare directly on the contact lens and then rub the lens with your finger tips. Place the contact lens in the appropriate right and left sides of the case basket, and then rinse the lenses with ClearCare directly for 5 seconds. Only after this manual rub and rinse can you fill the case with solution, close the lid, and let the contact lenses clean overnight. 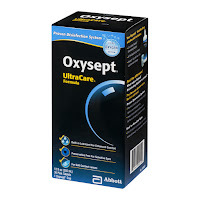 Oxycept UltraCare: This 2-step peroxide based system uses an enzyme tablet to neutralize the hydrogen peroxide solution. The tablets contain cyanocobalamin (vitamin B12) to create a pink hue so you can visibly tell that neutralization is happening. The lenses must soak in solution 6 hours or overnight. Once weekly, an UltraZyme Enzymatic tablet can be added at the same time as the peroxide neutralizing tablet for an extra strength clean. The Cons: These solutions must be allowed a full 6 hours or overnight to convert, otherwise they will cause significant discomfort and toxic corneal burn if hydrogen peroxide directly contacts the cornea. 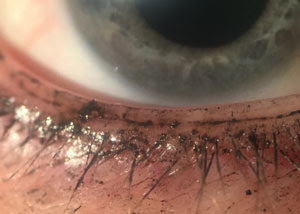 If you have had this happen to you, the pain can be severe but luckily the damage is superficial and won't cause any permanent harm to the cornea. While these solutions have strong disinfecting properties, once the hydrogen peroxide has been converted, there is no preservative coverage to prevent contamination if you leave the lenses sitting in the storage container for days at a time. Manufacturers advise not to leave a lens stored for more than 7 days. If you have back up lenses, it is always safest to store them dry and then clean them again before their next use. These are extra-strength cleaners that are either surfactant (soap) based to remove build up and debris or abrasive cleaners to remove more stubborn deposits. This category of cleaner will come with a red cap to warn users not to get the solution directly in contact with the eye. After using a daily cleaner, a separate solution will be necessary to rinse and then store the contact lenses. Boston Advance Cleaner: This abrasive daily cleaner uses silica gel to physically scrub off proteins and deposits. To use, place 2-4 drops of cleaner on the contact lens and then rub between your fingers for 20 seconds. 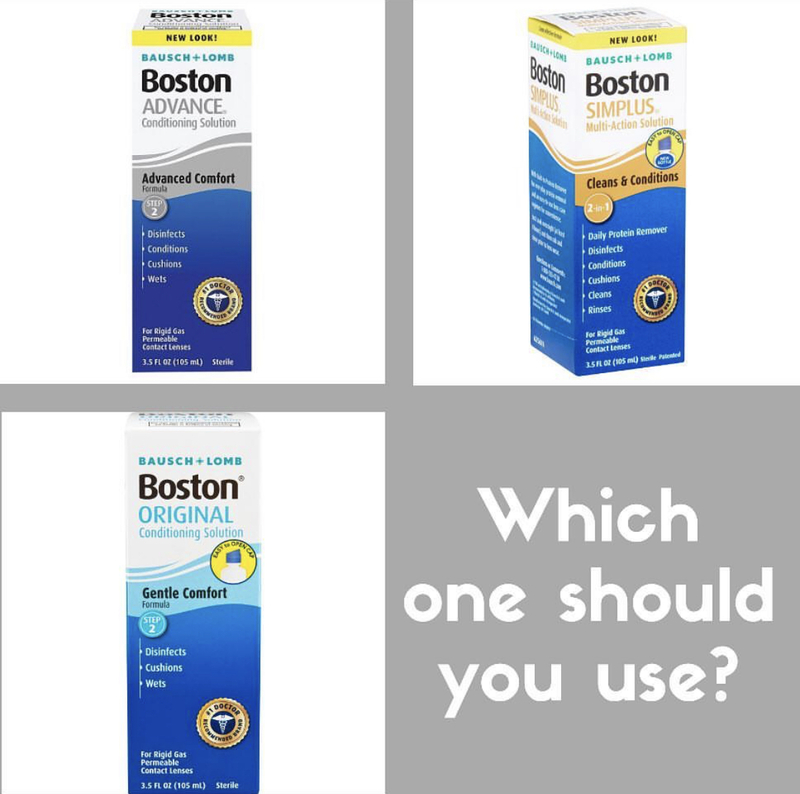 Thoroughly rinse off the cleaner, and then store the contact lens overnight with Boston Advance Conditioning Solution. 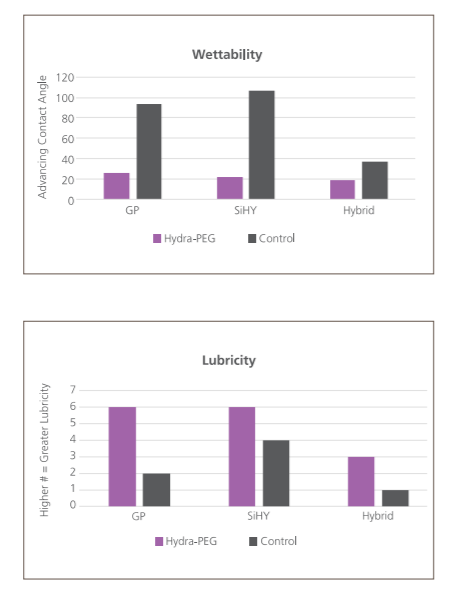 Lobob ESC: This surfactant based cleaner is self-preserved and contains no abrasive particles that could change the shape or design of the RGP lens over time. After a digital rub, it must be rinsed off thoroughly like Boston Advance Cleaner above. MiraFlow Extra Strength Cleaner: This daily cleaner is compatible with both RGP and soft contact lenses, and is popular among eye doctors for its' ability to remove stubborn lipid-based deposits like makeup and lotions. It's formula contains isopropyl alcohol so not only is it an excellent deposit-buster, but it has strong antimicrobial effects as well. The Cons: Daily lens cleaners require that extra step of needing a second solution to rinse and store the lenses. Because of the chemical properties of salines or multi-purpose solutions, rinsing the lenses with these options requires a steady stream of solution and a thorough rinse to both sides of the lens. Historically, many RGP wearers were taught to rinse off daily cleaners with tap water, but studies have shown this could increase the risk of blinding microbial infections from Acanthamoeba. Many daily cleaners still mention rinsing with water on their instruction labels, however. 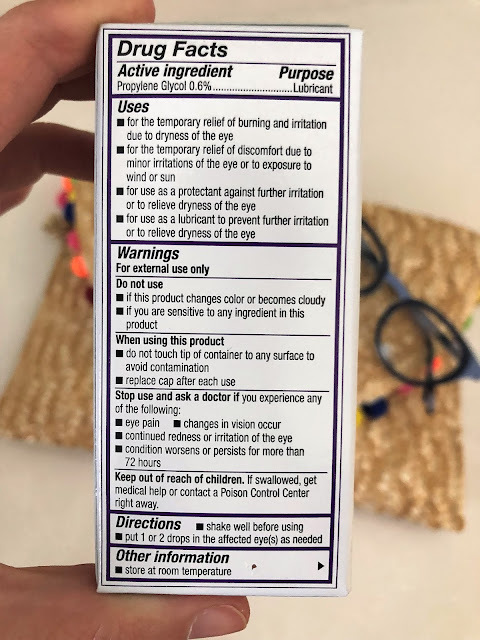 As the FDA considers making changes to these instructions, it's safest to avoid using tap water with contact lenses all together, and if you do rinse daily cleaner off your RGP lenses with water, make sure you then immediately use a multipurpose disinfecting solution to clean your lenses and help reduce the risk of contamination and infection. Also of note is that RGP lenses with Tangible Hydra-PEG coatings should NOT be cleaned with abrasive daily cleaners like Boston Advance due to the risk of damaging the surface coating. These solutions are designed for overnight storage. They improve RGP lens wettability by hydrating the surface of the lens and improving it's ability to adhere to your tear film for best vision stability and on-eye comfort. They also have disinfectant abilities to prevent contamination of the lenses while being stored overnight or over several days. 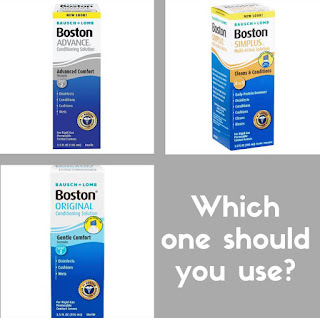 Boston Original Conditioning Solution: For conditioning and disinfecting, soak lenses for at least 4 hours. This is a tried and true formula is getting harder to find and has been largely replaced in favor of the Boston Advance Conditioning Solution below. Boston Advance Conditioning Solution: This conditioning solution is made for disinfecting, storage, and improved wettability. 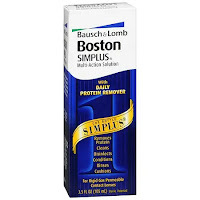 It's designed to partner as the 2nd step after using the Boston Advance Daily Lens Cleaner. Always check with your doctor about the most appropriate cleaning and storage solutions for your eyes. It's possible for patients to have allergic reactions to specific preservatives, and that's why I've listed them here for quick reference. Taking the extra time to properly clean (with a rub! 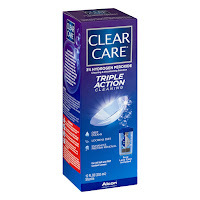 ), rinse, and condition your lenses overnight can not only prevent potentially blinding infections, but can greatly improve your entire contact lens experience by keeping your RGP and scleral lenses comfortable and clear all day long. Picture this: a sunny summer evening at a rooftop party in New York City atop the design studio of CFDA award winning designer, Christian Siriano. Everything is decked out in white marble, gold, and a variety of pinks. Models hustle up and down the stairs for quick changes, showcasing Siriano's resort wear looks to a posh young crowd of fashion insiders and social media influencers. Shockingly enough, this is the eyecare industry. If drab and dark doctor's offices at a strip mall, or elderly people wearing rimless frames come to mind when you think Transtions, prepare for your mind to be blown. This year Transitions has been extremely busy, with the launch of not one but two new lens products, and the announcement of a first ever contact lens option with partners Johnson and Johnson Vision. The influence for Siriano's collection? Very Barbie. 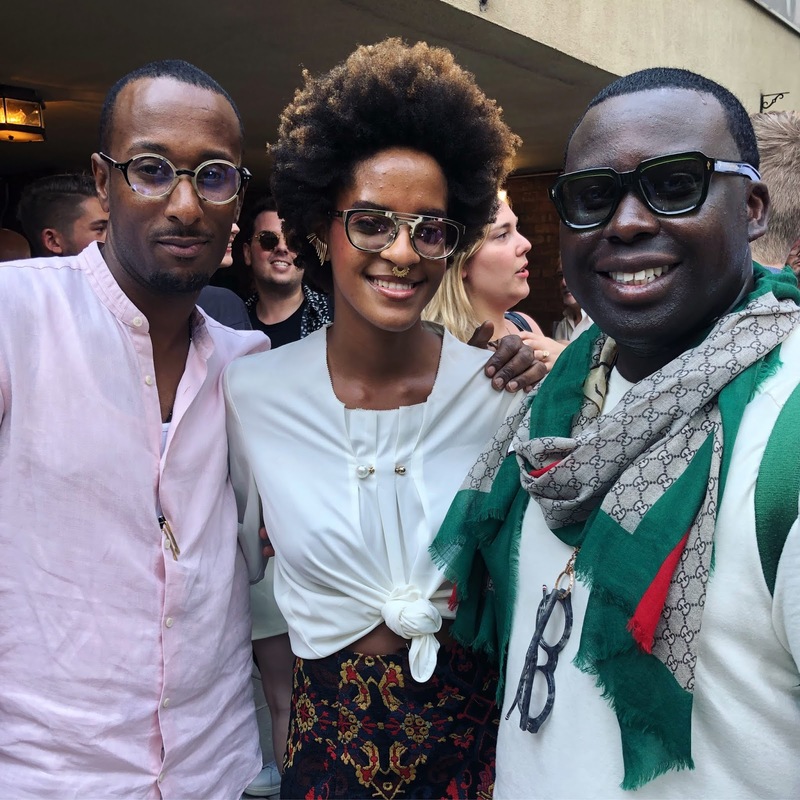 Eyewear's biggest names were in attendance, including Coco of Coco and Breezy Eyewear (center). 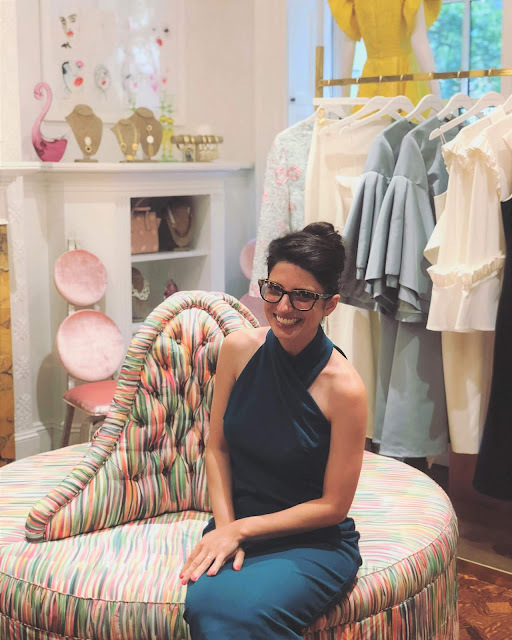 Just hanging out in Christian Siriano's flagship store at The Curated NYC, pretending to be posh. What's new? Transitions lenses have added COLOR to their light adaptive options, allowing you to personalize your look to a degree never before possible. 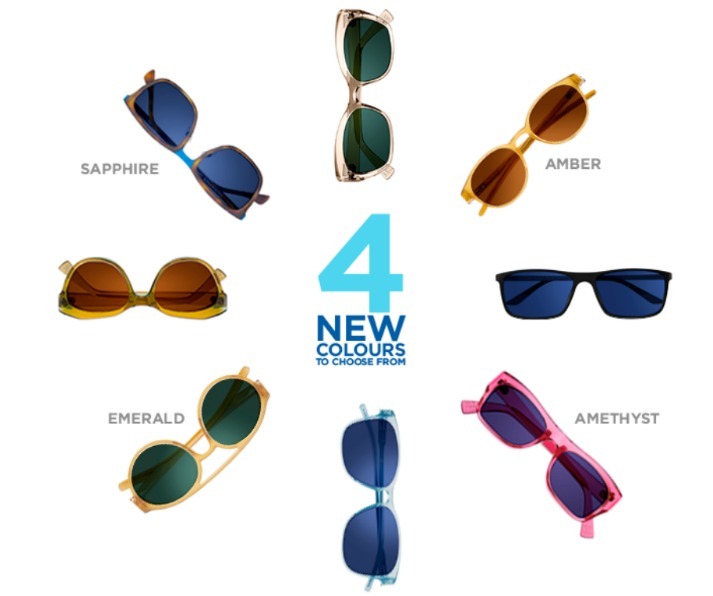 Transitions Style Colors come in 4 new options: Amber, Amethyst, Sapphire, and Emerald. These lenses are completely clear indoors, and transitions to a vibrant hue when activated by UV light. In sunwear, flash mirror coatings have been hugely popular for decades. 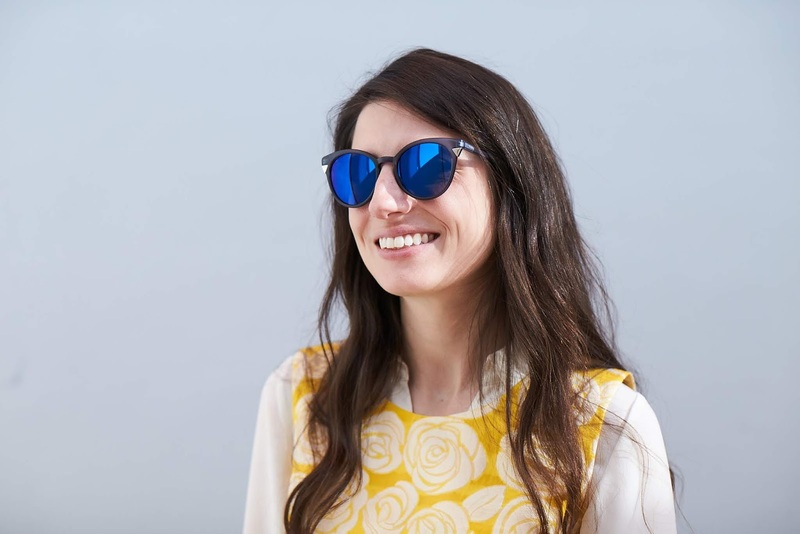 With the introduction of Transitions XTRActive Style Mirrors, you can now have clear eyewear indoors that transitions to a flash mirror sunglasses coating when activated by UV light outside. The mirrors are extremely fashion forward, with 6 color options that become more saturated as the intensity of light increases. They are available in pink, red, blue, green, gold, and silver shadow. Check out the lenses in action below as the Essilor team showcases their personal eyewear style! To help out on this video, I got a chance to fly down to Essilor's headquarters in Dallas, Texas to prescribe lenses in action. As an aside, how awesome is it that Essilor chose a young female OD to be the "doctor" in their videos. I applaud the company for bucking stereotypes and putting forward a young woman as the image of a doctor and bucking the traditional older male figure that other eyecare industry companies abide by in their casting. Thank you for being so inclusive and reflecting the changing face of healthcare in America! These mirrored lenses garnered the biggest buzz at the Transitions Launch Party event. Among the attendees were a number of social media influencers in their early to late 20's, and they were amazed by the technology that allowed lenses to change. That's right, a whole generation of eyewear aficionados will be experiencing Transitions lens technology for the very first time. The new colorful and vibrant products gives Millennials and Generation Z the chance to personalize their eyewear to a degree never before possible, with plenty of fashion to experiment with. In your offices, I encourage you to have hands on demonstrations available to let these younger generations of glasses wearers experience the technology interactively. Backside anti-reflective coating comes standard on the lenses to help reduce glare, and just like mirrored sunglasses, Transitions XTRActive Style Mirrors offer excellent protection against uncomfortable glare without the annoying disruption to vision on digital devices caused by polarized sunglasses. Are you excited to try the new lenses out for yourself? Nothing beats getting to try out new technology FOR FREE. 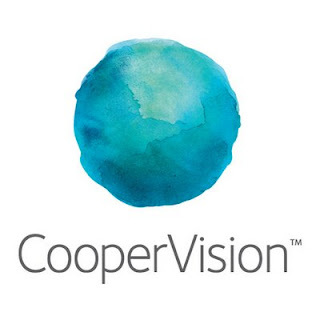 Essilor is including the new Transitions Style Colors for single vision (non-progressive) wearers as part of Essilor Ultimate Lens Package at participating eyecare offices. With this promotional discount, when you buy 1 complete pair of prescription glasses, you can get a second pair of lenses free with the purchase of a frame. The free lens package has all the bells and whistles -- the EyeZen anti-fatigue lens to help reduce end of day eye strain, Crizal anti-reflective coating, and of course Transitions in whatever color your heart desires. Launching sometime in 2019, the recently announced Acuvue Oasys with Transitions will be the first ever contact lens to darken with exposure to UV light. These contact lenses were designed with the demands of our digital world in mind; millions of Americans suffer from light sensitivity, eye strain, and discomfort due to prolonged device use. These new contact lenses are designed to combat both UV and high energy blue light entering the eye, and darken in bright light to reduce discomforting glare. 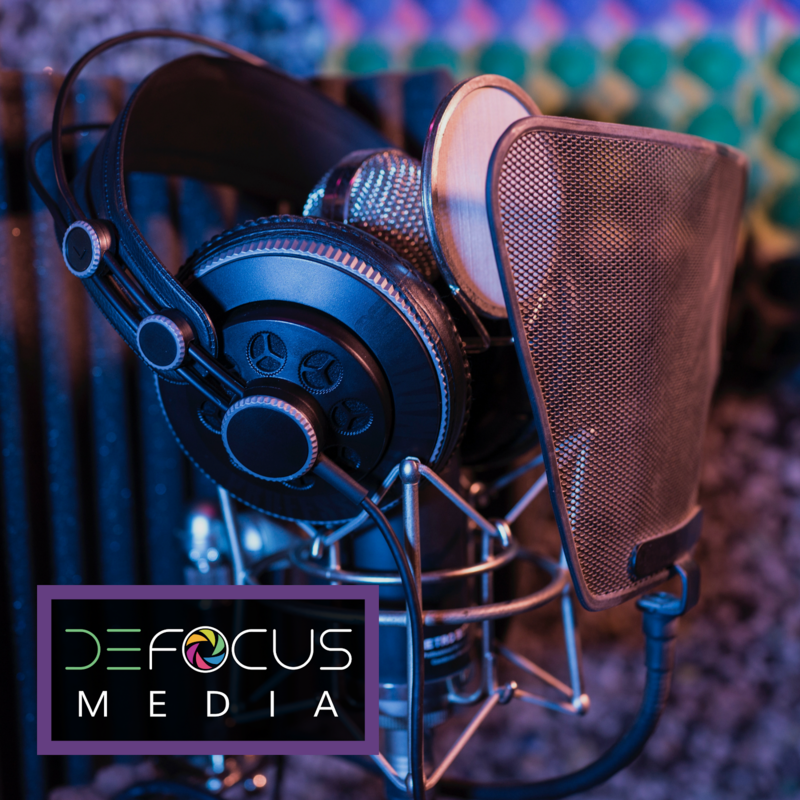 Look for more info about the lens technology as we get closer to a launch date! Disclosure: I serve as a Transitions and Essilor Brand Ambassador, but all opinions are my own. 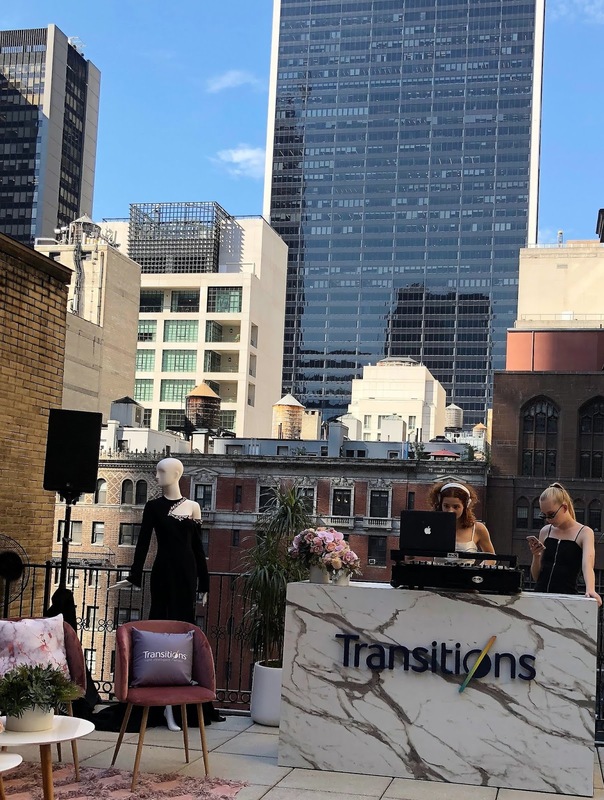 This post was not sponsored, but I did participate in the Transitions Launch Party Event on behalf of Transitions Lenses. 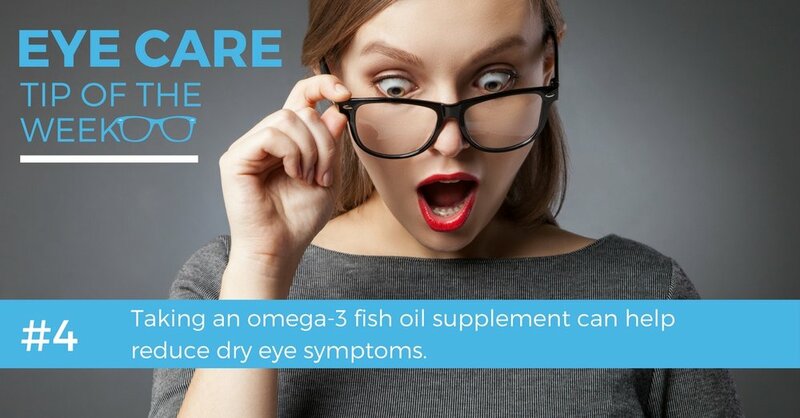 If you've been diagnosed with dry eye in the last decade, you've likely been recommended fish oil/omega-3 supplements by your doctor. Multiple studies since the early 2000's had indicated that dietary omega-3 intake was both anti-inflammatory and could improve signs and symptoms of dry eye over the course of a few months. The newly published DREAM study (Dry Eye Assessment and Management Study) funded by the National Institute of Health however is making waves by calling into question prior studies showing omega supplementation's effectiveness. 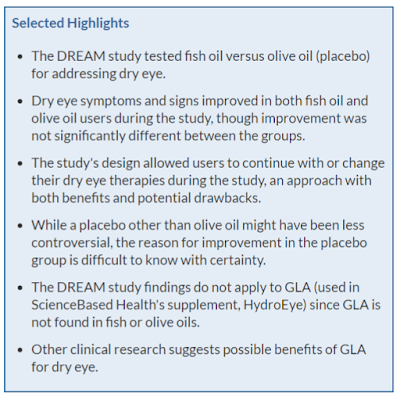 In fact, the DREAM study showed patients with dry eye taking omega-3 supplements achieved no better outcomes than placebo. The results are raising more questions than answers as doctors try to make sense of the study that was designed to be the largest investigation of omega supplements and dry eye to date. The DREAM study followed over 500 patients diagnosed with moderate to severe dry eye disease for over 1 year. Patients were randomly assigned to either treatment or control groups in a double blind study design. Treatment group patients were started on 3000 mg of fish-derived omega 3 supplements daily (n-3 eicosapentaeonic and docosahexaeonic acids, better known as EPA and DHA). The placebo group received 5 mg of olive oil supplements daily in identical capsules as the treatment group. 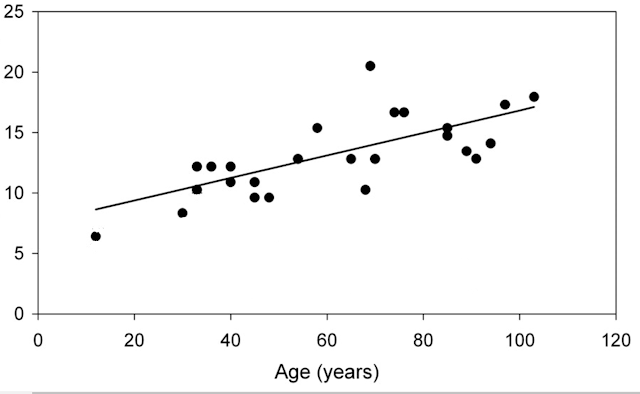 Patients were evaluated for improvements in OSDI score (a standardized questionnaire to assess dry eye symptoms) over baseline at both 6 and 12 months of treatment. 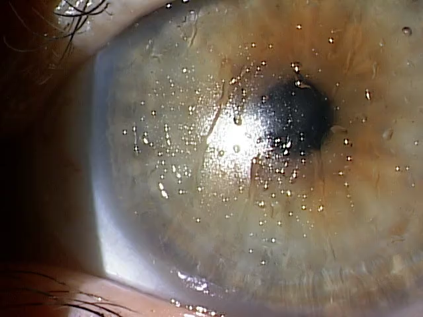 Improvements in conjunctival staining, corneal staining, tear break up time, and Schirmer's test were also assessed. At the end of 12 months, both groups showed improvements in dry eye signs and symptoms. There were no significant differences between the omega-3 supplement group and the placebo olive oil group in average changes from baseline in the OSDI symptom score, conjunctival staining score, corneal staining score, tear break-up time, or Schirmer’s test. When results were published in April, 2018 the eyecare world was rocked by the reveal that omega-3 supplementation performed no better than placebo on any dry eye measurement assessed. However, the interpretation of the results has been mixed and is leading to more questions than answers. Dr. Penny Asbell, a study chair of the trial and an ophthalmologist at Mount Sinai Hospital was quoted as saying definitively, "The results of the DREAM study do not support use of omega-3 supplements for patients with moderate to severe dry eye disease." Others, however do not support such a bold assertion. One of the major knocks of the study was that all enrolled patients were allowed to continue taking any previously prescribed dry eye treatment (including over the counter artificial tears and prescriptions like Xiidra or Restasis). These treatments have clinical studies showing they improve dry eye signs and symptoms on their own over the course of several months, and would have influenced the improvement seen in patients in both treatment groups. In statements reported in Optometry Times, however, Dr. Asbell contends the fact that patients were permitted to continue using their previously prescribed dry eye therapies is actually one of the DREAM study's strengths. "We took patients who were symptomatic despite whatever treatments they might be doing, and they were allowed to continue those treatments. It was typical of the kinds of patients I see and other clinicians see in the office every day." Another issue with study design under contention is the selection of olive oil as the placebo. Dr. Scott Hauswirth, OD served as a clinician at a DREAM study site. While some view the equal improvement in dry eye signs and symptoms observed in patients both taking omega-3 supplements and the olive oil placebo as evidence that omega-3 supplements were ineffective, he sees the results as evidence that olive oil may actually have been treating the patients' dry eye as well. "Oil oil turned out to be a surprise performer," he told Optometry Times. "Because both oils improved dry eye signs and symptoms over the course of the trial, DREAM ended up essentially comparing two treatments." "Olive oil is not considered [to have] a significant effect on dry eye disease," counters Dr. Asbell concerning the selection of the placebo. Olive oil has served as the placebo in clinical trials investigating the effects of omega-3 supplements for cardiovascular health and rheumatoid arthritis because it has no measurable increase in fatty acid uptake in the body. Over the course of the 1 year study, blood samples proved there was no significant impact seen in the content of oleic acid (which comprises roughly 68% of olive oil) in the fatty acids of red blood cells. Patients on omega-3 supplements did have blood sample testing proving 5 fold increases in EPA in red blood cells over placebo. Others contend that looking at omega 3 supplementation alone leaves out the vital role that anti-inflammatory omega 6 supplements (such as gamma-linolenic acid) can have in treating dry eye. A 2008 study comparing GLA omega 6 supplements versus an olive oil placebo did show statistically signficant improvement in dry eye symptom scores and assessment of contact lens comfort. 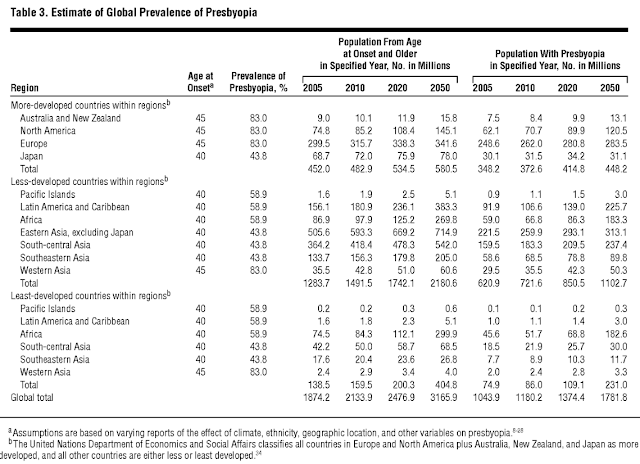 What will be the lasting impact of the DREAM Study? Doctors are now faced with deciding if recommending omega-3 supplementation is the proper suggestion for their patients suffering with dry eye. What's promising is that all patients, on placebo or treatment, did have improvement in both their signs and symptoms of dry eye while being treated. 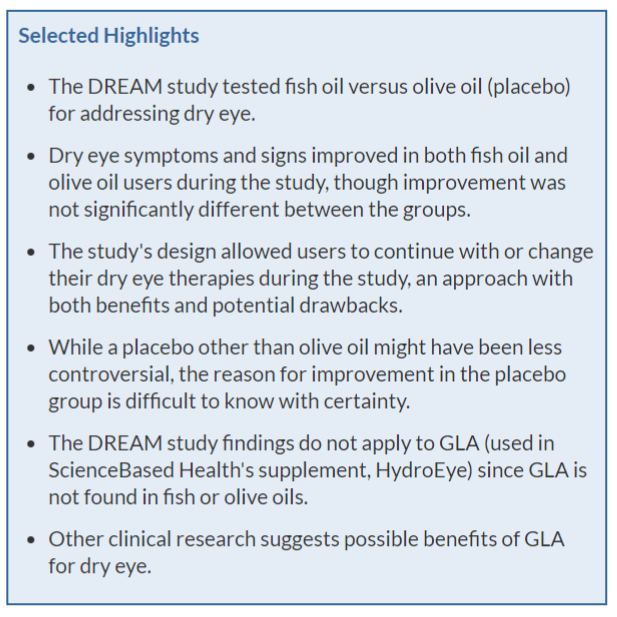 Whether that improvement came from their continued use of artificial tears or previously prescribed dry eye medications, or was in any way impacted by the supplementation of omega-3s or olive oil is hard to tease out from the DREAM study alone. Until more information is gleaned, doctors will continue to have to make personal judgement calls on whether they think the chance that omega-3 supplements might help is evidence enough to recommend their use.